Assalamu’alaykum, welcome back after a long break from the blog. Today inshallah a topic that carries some weight is what would be covered. The topic of hardship and the understanding most of us have on the ayah mentioned in the Qur’an in Surah Al-Inshirah verse number 6. 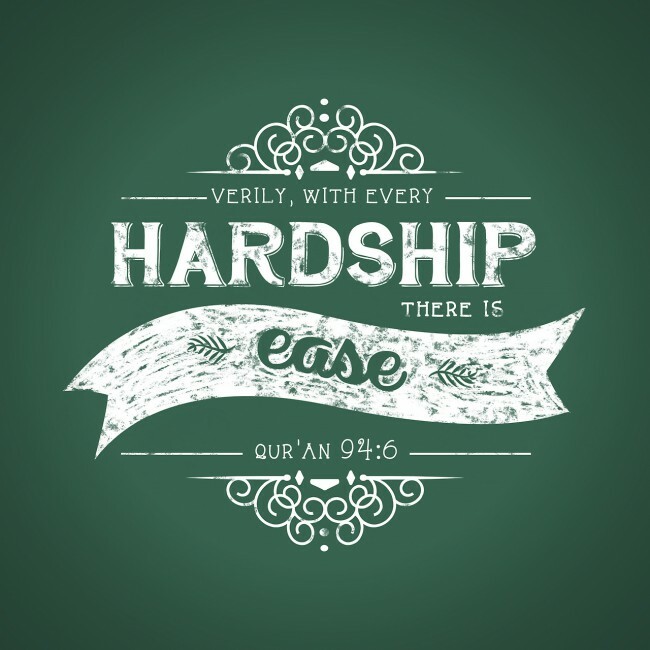 The translation we are usually are custom to is the following: “with every hardship comes ease”. In actual fact scholars have highlighted that its the following way around “with every hardship is ease, or there is relief”. What this means is that even when you are in a hardship Allah makes it so that not every aspect of that hardship is unbearable. Take for example, a sick patient suffering from a particular ailment, that ailment is concentrated on one part or maybe two or maybe three parts of his body, however on closer examination you would find that, that patient is able to talk, excrete, drink, eat, talk, engage with others, show emotions, and do a lot more than one would think. This is true in every hardship one undergoes. The point to note here is that with every hardship if one was to look on the bright side they would surely find that all is not hard. A whopper in less than a week..
Just look at how many things were purchased thanks to your cash and duah. 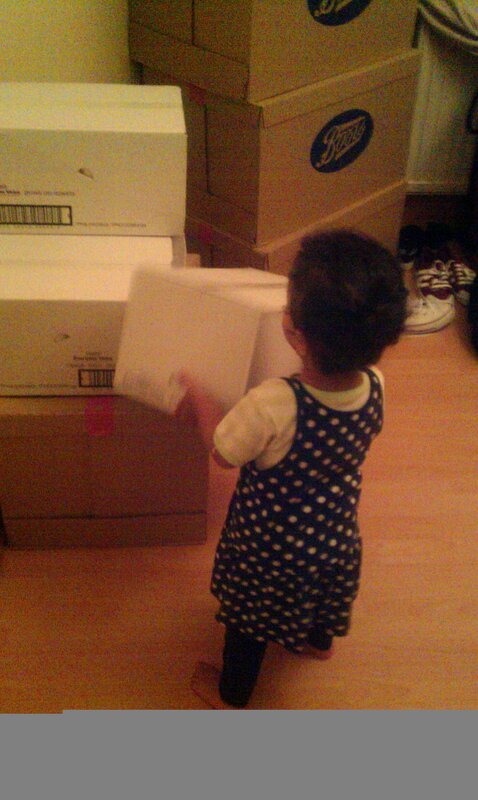 And subhanallah how easy it was for a few sisters to run around collecting the goods. *PLEASE VIEW PICTURES ON OUR TWEETER FEED ON ThE RIGHT HAND SIDE AS WE ARE EXPERIENCING PROBLEMS UPLOADING PICS ON BLOG. to everyone who helped us raise funds to purchase enormous amount of products for our brothers and sisters in Syria. May every penny raised be put on our scale of good deeds on the day of judgement where will be in need of good deeds. ameen. I’ve taken pictures of some of the things purchased. With a very big thanks to our youngest volunteer who can be seen in the pictures. Relieve Them and Allah will Relieve you…. He who relieves a hardship of this Dunya for a believer, Allah will relieve a hardship of the Day of Resurrection for him” (Muslim). Inshallah all is well. Barakallahu feeki to everyones donations for the people of Syria. As for those who were unable to donate please make duah for your brothers and sisters as duah is the weapon of the believer. There is an aid convoy leaving for Syria in a matter of weeks. The sisters there are desperately in need of baby milk e.g. SMA/ Aptamil and menstrual pads. Sisters there have resorted to ripping the bottom or their abayas and using it while on their mensus, subhannAllah sisters, imagine if you had to do this every time, and because of this your clothes will get shorter and shorter in order to contain yourself, something that is so basic for the rest of us and cannot imagine doing Can every sister please donate 1 packet of baby milk , wipes and 1 packet of menus pads and this will be collected from your front door. Sisters please imagine this is you going through these hardships. Please forward to all sisters. JazaakummaALLAHU khayran.